This is the ideal book for those who have never taken an engineering class or who never developed a mechanical/mathematical mindset. The author even includes sections for people that have never heard of a CAD program or how to shop McMaster Carr. Although the chapters are organized a bit like any other textbook, the author does a fairly good job of making sure it doesn't put you to sleep. The concepts are kept at a fairly high level with lots of diagrams and analogies to make the few equations included in the book somewhat palatable. But make no mistake, its still a tough subject to slough through and it took me at least a year to finish this copy. I do recommend that if you pick up this book, maybe buy all the materials for the projects beforehand so that there is no excuse not to complete the assignments. If nothing else, they become a great way to stay interested in the topic. Design education and even the design industry has a tendency to gloss over the rigorous process involved in formal trend forecasting because often the resourcing just isn't there to support it. Martin Raymond does a fantastic job of detailing every step of the trending process and introducing the appropriate terminology for many activities that designers tend to do instinctively. 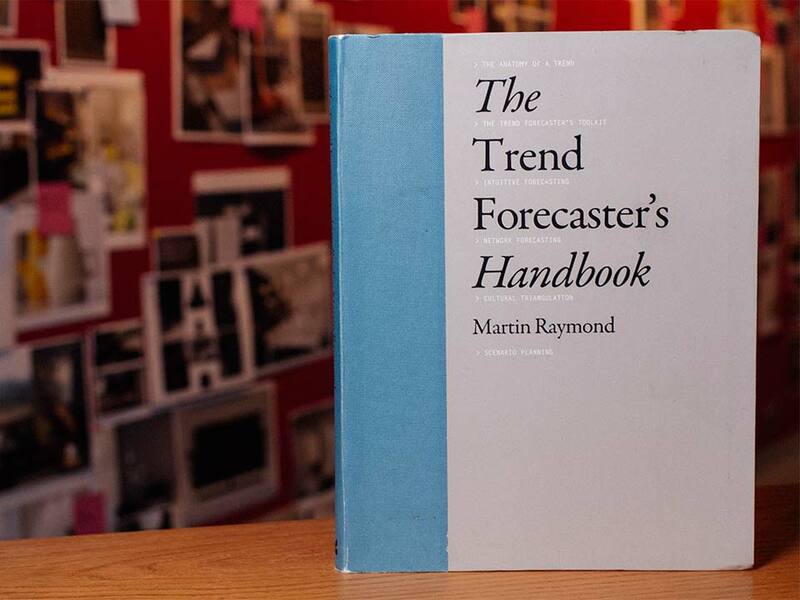 The merit of instinct within the trend forecasting industry is a whole chapter unto itself and that section reassures the reader that, although there is a formal process, there is also room for adaptation. Perhaps the biggest insight I gained from the book, was understanding how much of that process is related to general design research; the role of "expert interviews" is similar to "stakeholder interviews" and an "evidence wall" shares similarities to "affinity diagramming." Overall, the book is handy resource to fill out your design library and its definitely an easy read.